Mangrove Snapper up to 5+ lbs are not uncommon this time of year in the bay as they invade the bay to spawn. Inshore fishing can slow in the late summer as afternoon water temperatures climb near 90. Many shallow-water fish are lethargic and reluctant to bite, so we run all of our trips offshore. Clean, blue water and a wider variety of fishing options are available outside 50 feet. 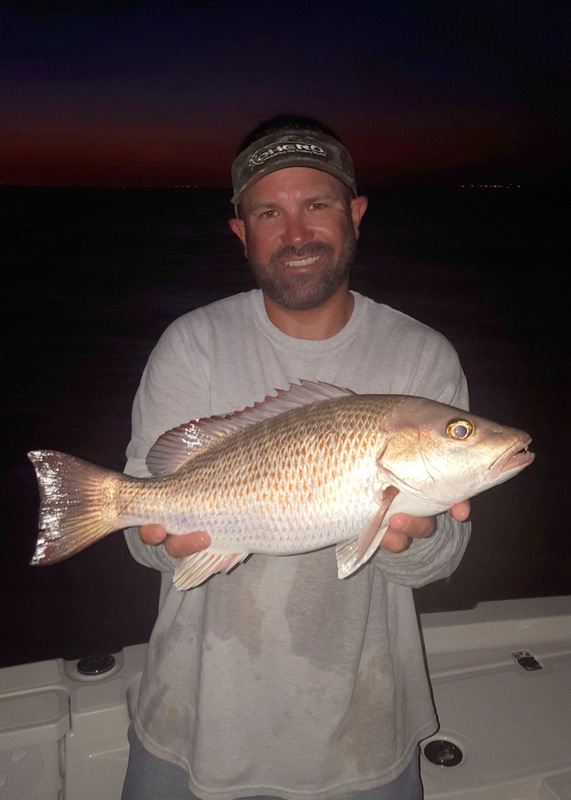 Mangrove snapper have been big and aggressively feeding 30 to 50 miles offshore. They respond very well to chum, usually rising to the surface and competing for the small pieces of ground fish. They are, however, very smart and will figure out your fishing method after you catch a few. We start by free­lining with 25-foot fluorocarbon leaders and small hooks. Once that stops working, we add a tiny bit of weight or use a small jighead to get the bait lower in the water column. That typically works for another half-dozen fish. Next we switch to a “knocker rig,” which is a sinker slid onto a line with a small piece of cut bait on the hook. Finally we put a small live pinfish or grunt on the bottom and finish out the bite. Ed Walker charters out of Tarpon Springs. He can be contacted at info@lighttacklecharters.com.